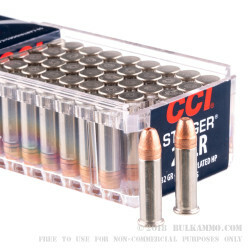 CCI's Stinger ammunition has long been considered one of the best 22 LR rounds for varmint hunting. 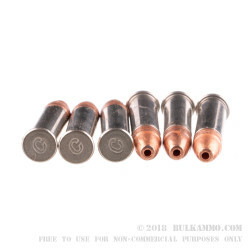 The thing that makes it stand out from other 22 rounds is that it features a lightweight 32 grain bullet and is loaded hot. The lightweight bullet will really fly down range with muzzle velocity of 1640 feet per second. 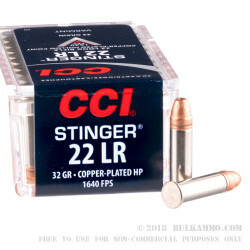 When you compare this to a Mini-Mag which has velocity of just 1260 feet per second, you can really see how the Stinger is in a class of its own.The high velocity combined with a copper plated hollow point bullet with a tear-drop cavity makes this round devastating for varmint. CCI is a division of Vista Outdoor and manufactures ammo in Lewiston, Idaho.